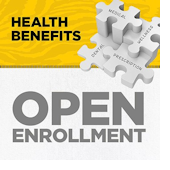 Open Enrollment Begins Today > FirstFleet, Inc.
Today is the first day of Open Enrollment. Please visit our online information and enrollment page found here where you will see our 2019 Welcome Letter and Benefits Highlight Guide. These communications detail all of our benefit enhancements for 2019 including, new coverage for sunglasses and an addition of a co-pay plan for preventative drugs under the High Deductible Health Plan. Use this same “Open Enrollment” site to make all of your elections between now and October 31st by clicking on the red Enroll Now button. Remember, this is your opportunity to add or delete benefits and dependents. Additionally, during Open Enrollment you can evaluate your life insurance and ensure that all of your beneficiary and personal information is correct. If you do not make any changes to your coverage your current benefits will simply rollover, uninterrupted into 2019. The only exception would be if you have a Flexible Spending Account. If you want a Flexible Spending Account in 2019, you will have to elect a new account for 2019 due to IRS regulations. Whatever you decide we encourage you to take the time to review all of the information in the days ahead and then make great choices. Questions along the way? Feel free to contact us in the HR Department at hr@firstfleetinc.com or call (615) 890-9229 Monday through Friday 7:00am-6:00pm CST. Have a great October!